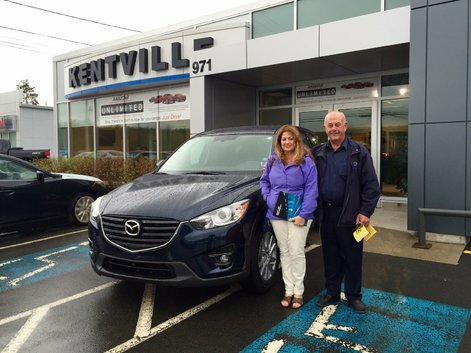 Congratulations to Dana Greene on the lease of her new Mazda CX-5! This is Dana's 5th or 6th Mazda...she's lost count! 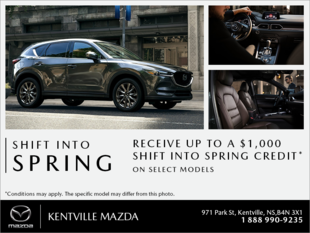 On behalf of your Sales Consultant, Darell Rogers and all of us here at Kentville Mazda, we thank you for your business Dana and are very happy to keep you in the Kentville Mazda family!